Related – though not necessarily suggested – reading (in alphabetical order by author): Steve Budin, Bets, Drugs, and Rock & Roll (New York, NY: Skyhorse Publishing, 2007). Richard O. Davies and Richard G. Abram, Betting the Line: Sports Wagering in American Life (Columbus, OH: The Ohio State University Press, 2001). 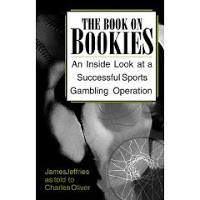 James Jeffries and Charles Oliver, The Book on Bookies: An Inside Look at a Successful Sports Gambling Operation (Boulder, CO: Paladin Press, 2000). Michael Konik, The Smart Money: How the World’s Best Sports Bettors Beat the Bookies Out of Millions (New York, NY: Simon & Schuster, 2006). Michael Lewis, Moneyball: The Art of Winning an Unfair Game (New York, NY: W.W. Norton & Company, 2003). Chad Millman, The Odds: One Season, Three Gamblers, and the Death of Their Las Vegas (Cambridge, MA: Da Capo Press [Perseus], 2001). 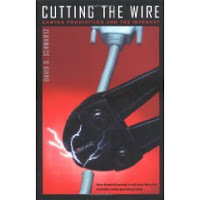 David G. Schwartz, Cutting the Wire: Gaming Prohibition and the Internet (Reno, NV: University of Nevada Press, 2005).